Immerse yourself in the history of medicine, a colourful story of skill, serendipity, mistakes, moments of genius, and dogged determination. Packed with photographs, diagrams, and visual analyses this book illustrates the science, equipment, trial and error, and great medical practitioners central to this extraordinary story. Witness early, bloody, anaesthetic-free operations; see the first crude surgical instruments; trace the mapping of the circulatory system; follow the painstaking detective work that led to the decoding of the human genome; and understand the role that potions, cures, therapies, herbal medicines, and drugs have played in the human quest to tame and conquer disease, injury, and death. 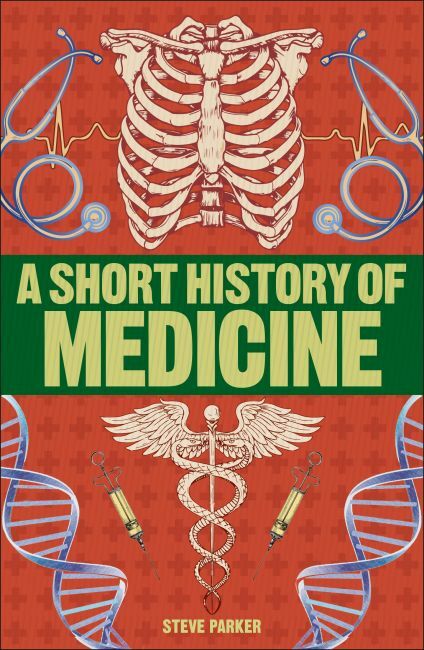 A Short History of Medicine is an engrossing illustrated history and tale of drama and discovery that celebrates the milestones of medical history across the generations and cultures.